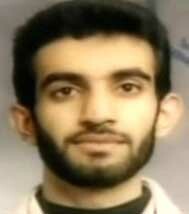 Khalid Shaikh Mohammed (KSM) lives in Qatar during these years. 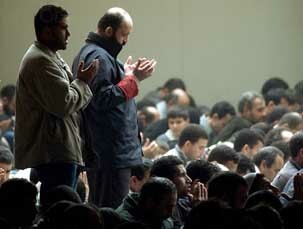 He is invited there by Abdallah bin Khalid al-Thani, Qatar’s Minister of Religious Affairs at the time. He works on a farm owned by al-Thani and lives in the open, not even bothering to use an alias. He works as a project engineer for the government. One US official will later recall that al-Thani “has this farm and he always had a lot of people around, the house was always overstaffed, a lot of unemployed Afghan Arabs…. There were always these guys hanging around and maybe a couple of Kalashnikovs [machine guns] in the corner.” [Los Angeles Times, 12/22/2002] KSM continues to plot and travel extensively, including a 1995 trip to fight in Bosnia with the trip’s expenses paid for by al-Thani. Apparently the CIA becomes aware that KSM is living there in 1995 and is also already aware of his role in the 1993 WTC bombing and the Bojinka plot (see October 1995). 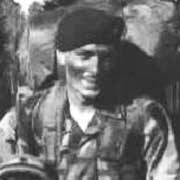 KSM will finally have to leave his Qatar base after his presence becomes too well known in early 1996 (see January-May 1996). [Los Angeles Times, 12/22/2002; 9/11 Commission, 7/24/2004, pp. 147, 488] KSM will return to Qatar occasionally, even staying there with the knowledge of some Qatari royals for two weeks after 9/11 (see Late 2001). 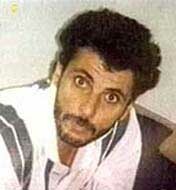 In January 1992, Wadih El-Hage is briefly arrested and detained by police in Arlington, Texas, for a traffic violation. Police records show the driver of the car is Marwan Salama. From late 1992 until about a month before the World Trade Center bombing in February 1993 (see February 26, 1993), more than two dozen calls were placed from phones used by the bombers to an Arlington number used by Salama. 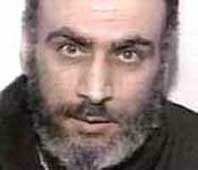 Salama is never charged with any crime and continues to live in the US at least through late 1998. [Dallas Morning News, 10/28/1998] Several months later, El-Hage moves to Sudan to work as bin Laden’s personal secretary. He registers his presence there with the US consulate. [Jacquard, 2002, pp. 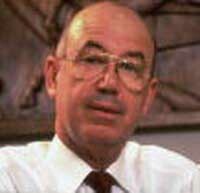 80] US intelligence began investigating El-Hage in 1991 for links to both a murder and an assassination in the US (see March 1991), and in the summer of 1993 one of the WTC bombers reveals his links to El-Hage (see Summer 1993). Presumably, links can be drawn between the bombers and El-Hage working for bin Laden in Sudan, but it is unknown if that link is made. On April 24, 1992, Houston pizza deliveryman Ahmad Ajaj and San Antonio cabdriver Ibrahim Ahmad Suleiman fly together from Texas to Pakistan. Suleiman is a Texas contact of the Al-Kifah Refugee Center, the Brooklyn-based Islamist militant organization linked to both the CIA and al-Qaeda (see 1986-1993). Suleiman had begun raising funds for the Afghan war in Texas in the late 1980s, and acquaintances said he traveled to Pakistan several times, carrying a briefcase full of cash to fund the mujaheddin fighting in Afghanistan. When they arrive in Pakistan, they stay at a hostel in Peshawar, near the Afghanistan border, known as the Abdullah Azzam House. Named after Osama bin Laden’s mentor Abdullah Azzam, this hostel is owned by Al-Kifah and also houses its Pakistan headquarters. Ajaj and Suleiman stay there off and on over the next several months. 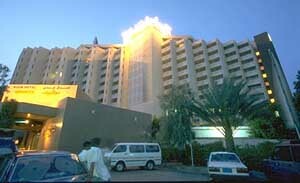 Al-Qaeda bomber Ramzi Yousef also sometimes stays there during the same months. Ajaj also allegedly receives explosives training at an Afghanistan training camp with Yousef. His letter of introduction to the camp is signed by an Azzam House official. On September 1, 1992, Ajaj and Yousef arrive together in New York City on a flight from Pakistan. Ajaj is carrying some bomb manuals; investigators will later find the fingerprints of Ajaj, Yousef, and Suleiman on them. Both men are carrying identification cards that give the PO box number in Tucson, Arizona, that matches an al-Kifah branch there. Ajaj is briefly detained at the airport, but Yousef is allowed to go. [Dallas Morning News, 6/8/1997] He gets into a taxi and tells the taxi driver to drive him to the building that houses the al-Qaeda headquarters in Brooklyn as well as the closely associated Al Farooq mosque, led at the time by the “Blind Shiekh,” Sheikh Omar Abdul-Rahman. 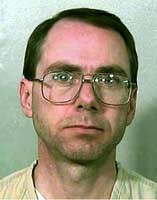 [Lance, 2003] Ajaj and Yousef will later be sentenced to life in prison for their roles in the 1993 WTC bombing (see February 26, 1993). Suleiman will only be sentenced to 10 months in prison for lying to a grand jury about his travels with Ajaj. [New York Times, 11/25/1998] A CIA internal report will conclude the agency is “partly culpable” for the WTC bombing, mainly due to its support for Al-Kifah (see January 24, 1994). Osama bin Laden sends about $250,000 to an associate named Essam al Ridi in the US. The money is moved in more than one transfer from the Al-Shamal Islamic Bank in Sudan and is for the purchase of a plane by al Ridi for bin Laden (see Early 1993). The CIA has been monitoring bin Laden’s banking operations for some time (see 1991-1992). Al Ridi will be asked about this transfer at the US trial of al-Qaeda operatives involved in the 1998 embassy bombings, where he is a witness for the prosecution. Under cross examination, he will say that he was not concerned about such large transfers from Sudan to Texas because receiving such monies was not a problem for him in the US, although it might have been a problem for him if he was still in Egypt. [United States District Court for the Southern District of New York, 1/14/2001] Al Ridi previously purchased assassination rifles for the anti-Soviet Afghan Arabs, apparently with the CIA’s knowledge (see Early 1989). The airplane that will be bought for bin Laden. [Source: Fox News]High-ranking al-Qaeda operative Wadih El-Hage contacts Essam al Ridi, a militant who had previously helped the anti-Soviet jihad in Afghanistan (see Early 1983-Late 1984), to discuss buying a jet plane for Osama bin Laden. El Hage is at bin Laden’s base in Sudan, and al Ridi is in Texas, where he works as a flight instructor. The two men know each other from the 1980s, when they shipped equipment from the US to the mujaheddin in Afghanistan (see 1987 or 1988). The FBI has been aware of El-Hage’s terrorist connections for some time (see March 1991), and the CIA is monitoring bin Laden in Sudan (see February 1991- July 1992). There are “quite a few” communications, in which the two men discuss the price of the aircraft, the fact that the plane is for bin Laden, and the plane’s range. El-Hage says that the plane has to be able to fly 2,000 miles, as he and bin Laden want to use it to ship Stinger missiles from Peshawar, Pakistan, to Khartoum, Sudan, and al Ridi and El-Hage discuss the technicalities of shipping the missiles. [United States District Court for the Southern District of New York, 1/14/2001] Bin Laden sends money for the plane to al Ridi in the US (see Between August 1992 and 1993), and al Ridi then buys the plane and flies it to Sudan (see Early 1993). It is unclear if these calls are monitored, although bin Laden is under surveillance by the US at this time (see Early 1990s and Early 1990s). Adham Amin Hassoun. [Source: CBS News]The FBI interviews Adham Amin Hassoun, a Muslim community activist living in Florida. 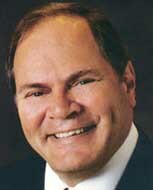 The year before, Hassoun had filed Florida incorporation papers for the first American chapter of the Islamic charity Benevolence International (BIF), listing wealthy Saudi businessman Adel Batterjee as the president. The FBI shows him photographs of suspects in the World Trade Center bombing and asks him if he could recognize the people. At this interview or a later one, he is also asked about Enaam Arnaout, who will take control of Benevolence International after it moved its headquarters to Chicago in 1994. After 9/11, Hassoun will be questioned again for alleged ties with so-called “dirty bomber” Jose Padilla. Hassoun and Padilla were acquaintances in Florida since the early 1990s. [South Florida Sun-Sentinel, 7/13/2002] The FBI begins monitoring Hassoun and some of his associates, including Padilla, in October 1993 (see (October 1993-November 2001)). 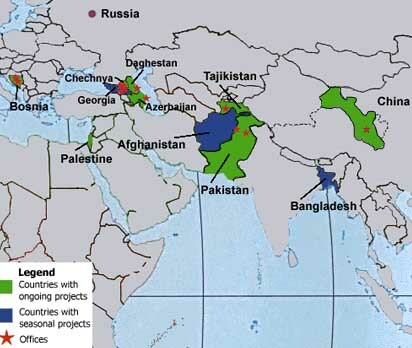 Benevolence International will later be connected to al-Qaeda and shut down, but only after 9/11. 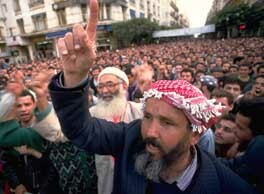 By 1993, the Algerian militant group Groupe Islamique Armé (GIA) is extremely active launching attacks in Algeria. For instance, in a two month period of 1994 alone, it will burn down over 500 schools. In 1993, bin Laden sends Qari Said al-Jazairi, an Algerian member of al-Qaeda’s shura (ruling council), to meet with rebel leaders in the mountains. He gives them $40,000 but warns them there is no room for compromise with the government and total war is the only solution. This marginalizes the moderates. 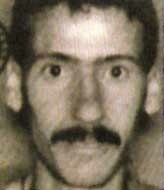 According to later testimony by key al-Qaeda defector Jamal al-Fadl, the GIA is then treated as an affiliate of al-Qaeda. [Day 2. United States of America v. Usama bin Laden, et al., 2/6/2001; Wright, 2006, pp. 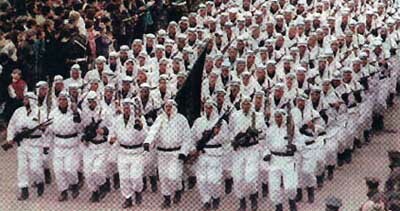 189-190] Bin Laden and other al-Qaeda leaders may not be aware of it, but the GIA is highly infiltrated by the Algerian intelligence agency by this time (see 1991). The Muslim World League (MWL), a Saudi charity closely tied to the Saudi government. Benevolence International Foundation (BIF), a charity based in Chicago, Illinois. The Qatar Charitable Society (QCS). Al-Qaeda apparently will stop using this organization after it is publicly linked to an assassination attempt on Egyptian President Hosni Mubarak in 1995 (see Shortly After June 26, 1995). Bin Laden tells this to Jamal al-Fadl, who is helping to run bin Laden’s businesses in Sudan. A Justice Department brief will later explain, “[Al-Fadl] understood from conversations with bin Laden and others in al-Qaeda that the charities would receive funds that could be withdrawn in cash and a portion of the money used for legitimate relief purposes and another portion diverted for al-Qaeda operations. 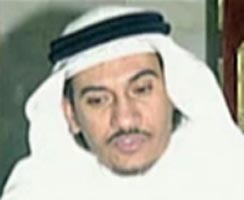 The money for al-Qaeda operations would nevertheless be listed in the charities’ books as expenses for building mosques or schools or feeding the poor or the needy.” [USA v. Enaam M. Arnaout, 10/6/2003 ] In 1996, al-Fadl will quit al-Qaeda and tell US investigators all he knows about the organization and its finances (see June 1996-April 1997). Yet the US has yet to list the MWL or QCS as terrorism financiers, and will wait until 2002 before listing BIF. The US knew about the MWL’s support for radical militants even before al-Fadl defected (see January 1996), but its ties to the Saudi government has repeatedly protected it (see October 12, 2001). Khalid Shaikh Mohammed (KSM) and his nephew Ramzi Yousef have high-level protection in Pakistan around 1993, at least. This is according to Rehman Malik, who is head of Pakistan’s Federal Investigation Agency (FIA) at the time. 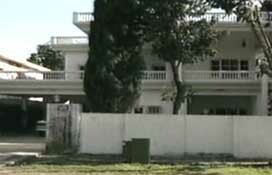 In July 1993, KSM and Yousef are unsuccessful in an attempt to assassinate Pakistani Prime Minister Benazir Bhutto (see July 1993). Malik will later say, “It seemed to us [in the FIA] that the entire family were involved in this business [of terrorism]. Ramzi and Khalid were both out to make a name for themselves. They had close connections with the jihadis, but it was unclear who they were working for. They were both extremely dangerous men, and to us in the FIA, it always appeared that they had protection at a higher level. When we raided Ramzi’s house in Quetta, he had been warned. Likewise with Zahid [Shaikh Mohammed, KSM’s brother] in Peshawar.” [Fouda and Fielding, 2003, pp. 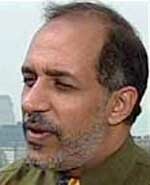 96] Also around this time, US investigators find KSM and his brother Zahid are linked to the ISI. 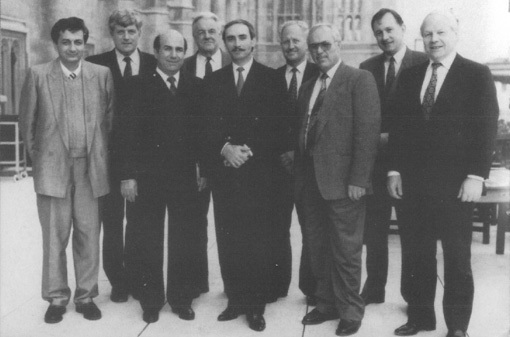 They even find photographs of them with high-ranking Pakistani political leaders (see Spring 1993). Nawaf Alhazmi (left), and Khalid Almihdhar (right). 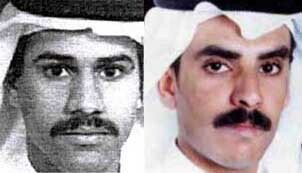 [Source: FBI]Of all the 9/11 hijackers, Nawaf Alhazmi and Khalid Almihdhar have the longest records of involvement with al-Qaeda. CIA Director Tenet calls them al-Qaeda veterans. 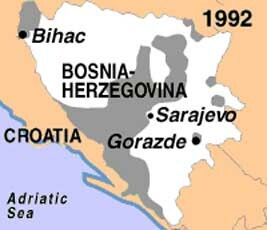 According to the CIA, Alhazmi first travels to Afghanistan in 1993 as a teenager, then fights in Bosnia with Alhazmi (see 1995). Almihdhar makes his first visit to Afghanistan training camps in 1996, and then fights in Chechnya in 1997. Both swear loyalty to bin Laden around 1998. Alhazmi fights in Afghanistan against the Northern Alliance with his brother, Salem Alhazmi. He fights in Chechnya, probably in 1998. 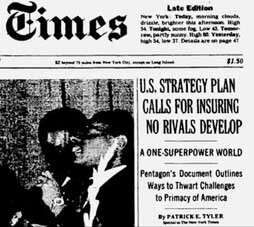 [Observer, 9/23/2001; ABC News, 1/9/2002; US Congress, 6/18/2002; Los Angeles Times, 9/1/2002; US Congress, 7/24/2003, pp. 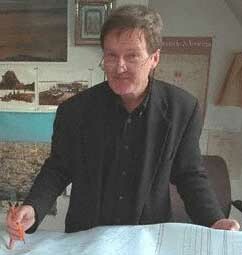 131 ] He then returns to Saudi Arabia in early 1999 where he shares information about the 1998 US embassy bombings. However it is not clear what information he disclosed to whom or where he obtained this information. [US Congress, 7/24/2003, pp. 131 ] It is possible that some or all of this information came from the NSA, which is intercepting some of Alhazmi’s phone calls at this time (see Early 1999). Essam al Ridi. 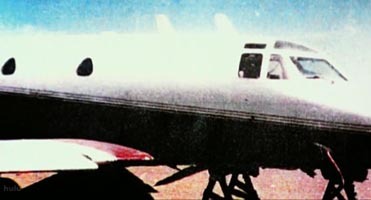 [Source: CNN]Osama bin Laden buys a US military aircraft in Arizona, paying about $210,000 for a converted Saber-40. The transaction is arranged through Wadih El-Hage, a bin Laden employee in Sudan, and Essam al Ridi, a US-based helper for radical Islamists. Before the purchase is made, the two men discuss the transaction on the phone (see August 1992-1993) and El-Hage sends money to al Ridi, who had learned to fly in the US (see Between August 1992 and 1993). Bin Laden apparently wants to use the plane to transport stinger missiles from Pakistan to Sudan, but it is unclear whether it is ever actually used to do this. After modifying the plane, al Ridi flies it from the US to Khartoum, Sudan, where he meets El-Hage, bin Laden, al-Qaeda leader Mohammed Atef, and others. They have dinner, where al Ridi also sees “quite a few” AK 47s, and men in Sudanese military uniforms. Al Ridi also visits bin Laden at the offices of one of his companies, Wadi al Aqiq, and bin Laden offers him a job as a pilot, spraying crops and then shipping them to other countries. However, al Ridi, who argued with bin Laden during the Soviet-Afghan war, rejects the offer, saying bin Laden is not offering him enough money. [United States District Court for the Southern District of New York, 1/14/2001; Sunday Herald (Glasgow), 9/16/2001; Washington Post, 5/19/2002] The plane will later be used to transport bin Laden operatives on a trip to Somalia before the “Black Hawk Down” incident (see Before October 1993), but al Ridi will later crash it (see (1994-1995)). In 1994, Congress passes an anti-money-laundering law that requires unregulated financial services, like currency exchanges, check cashers, and the money brokers known in the Arab world as hawalas, to register with the government and report large and suspicious transfers of cash. However, proposed rules to implement the program are not written until 1997, and the regulations do not take effect until 2002. [Los Angeles Times, 10/15/2001] According to another account, the law is passed in 1993, but the rules are not published until 1999. Then the Bush administration orders a further delay, until June 2002. [New York Times, 9/20/2001] In late 1998, it will be determined that there is only one person in the US government with any expertise about hawalas, but he will be let go before 9/11 (see Late 1998).